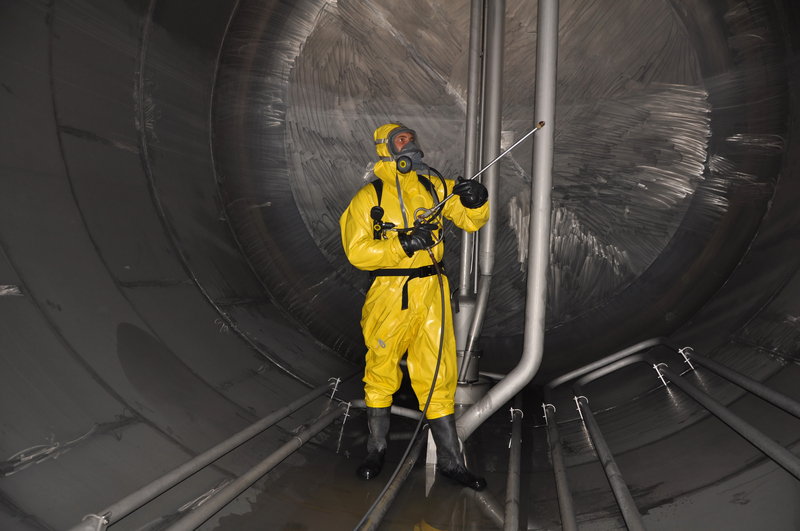 Tradebe's Expert Tank Cleaning service team specializes in Cleaning Tanks, Vessels and more. You can count on our highly-skilled personnel and technically advanced equipment to clean your tank or vessel safely and efficiently while exceeding your expectations and maintaining regulatory compliance. We are experienced with tanks that are utilized to store various products including hazardous, nonhazardous chemicals, petrochemicals, petroleum and even food products like milk and grain. From municipal water storage tanks, to power plants, chemical processing plants, food production and fire protection - tanks are everywhere and they play an important role in our industries and our communities. Tradebe's Experienced Industrial Tank Cleaning team of highly-skilled technicians and supervisors are equipped with the necessary technology and tools to provide your business with exceptional results. We are ready to assist with your cleaning projects and are committed to completing your project safely, efficiently with the end-goal to exceed your expectations of our performance while maintaining regulatory compliance. Any of these Projects on your To-Do List? Tradebe Can Assist! 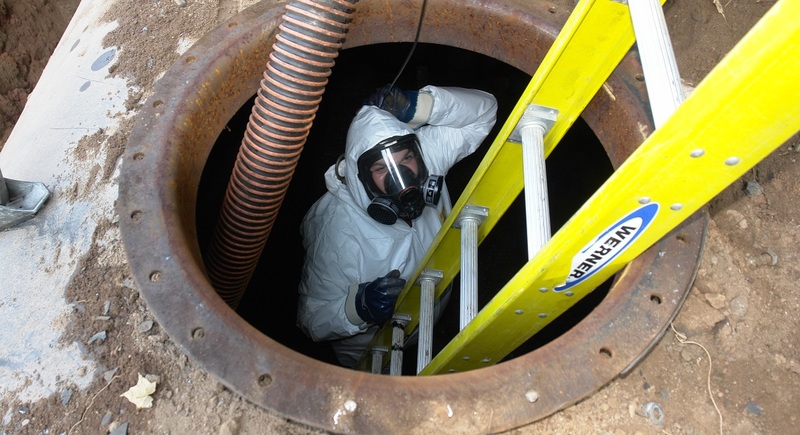 Is your Contractor Prepared for Confined Space Entry? There is no replacement for utilizing experienced team members that are thourougly trained in Confined Space Entry. It is imperative that projects requiring Confined Space Entry are managed by a very experienced and well-trained team of Field technicians. Tradebe is not only experienced in these types of requirements but also provides Confined Space Rescue services. Serving various industries, municipalities, utility companies, including the Oil & Gas industry, we are equipped to handle a broad spectrum of cleaning from residential oil tanks to six million gallon refinery tanks. Contact us now to discuss your upcoming projects for Tank Cleaning and/or other Facility Maintenance needs - simply fill out the contact form >>> and let us know how we can assist you! The following content was shared with you: https://www.tradebeusa.com/tank-cleaning Text Tradebe's Expert Tank Cleaning service team specializes in Cleaning Tanks, Vessels and more. You can count on our highly-skilled personnel and technically advanced equipment to clean your tank or vessel safely and efficiently while exceeding your expectations and maintaining regulatory compliance. We are experienced with tanks that are utilized to store various products including hazardous, nonhazardous chemicals, petrochemicals, petroleum and even food products like milk and grain. From municipal water storage tanks, to power plants, chemical processing plants, food production and fire protection - tanks are everywhere and they play an important role in our industries and our communities. Nothing Can Replace Experience, Training and Technology Tradebe's Experienced Industrial Tank Cleaning team of highly-skilled technicians and supervisors are equipped with the necessary technology and tools to provide your business with exceptional results. We are ready to assist with your cleaning projects and are committed to completing your project safely, efficiently with the end-goal to exceed your expectations of our performance while maintaining regulatory compliance. Any of these Projects on your To-Do List? Tradebe Can Assist! Changing/transferring product Inspecting the integrity of a tank Tank, Vessel or other plant equipment repairs Removing bulk solids and sludges from Tanks Tank or vessel decommissioning and more... Is your Contractor Prepared for Confined Space Entry? There is no replacement for utilizing experienced team members that are thourougly trained in Confined Space Entry. It is imperative that projects requiring Confined Space Entry are managed by a very experienced and well-trained team of Field technicians. Tradebe is not only experienced in these types of requirements but also provides Confined Space Rescue services. Advanced, Patented Remote Tank Cleaning Technology Patented remote-tank cleaning technology provides increased project safety to personnel and the environment and simultaneously reduces the disruption to our client's production time - Serving various industries, municipalities, utility companies, including the Oil & Gas industry, we are equipped to handle a broad spectrum of cleaning from residential oil tanks to six million gallon refinery tanks. Our Services include: Aboveground Storage Tank (AST) and Underground Storage Tank (UST) removal Tank Maintenance and Inspection Tank/Vessel Cleaning Utility Manhole and Vault Cleaning Tank and Vessel Cleaning during Decommissioning and Industrial Renovations Finished Product, Waste Water, Chemical, Silos, Reservoirs, Septic Tank Contact us now to discuss your upcoming projects for Tank Cleaning and/or other Facility Maintenance needs - simply fill out the contact form >>> and let us know how we can assist you!